In this delusional fantasy, championed by figures like as George Soros and Anne-Marie Slaughter as an ideal “Open International Market,” the United States and western countries occupy their dominant position, simply because they are the best. The products and services offered by western financial institutions and international corporations are simply superior to those found anywhere else. This delusional fantasy goes on to present the western financial elite as somehow mentoring and assisting the world, by helping it “develop” and perhaps someday be more like the superior west. Those who argue that this western narrative is false have no greater confirmation than the recent actions of the US government. 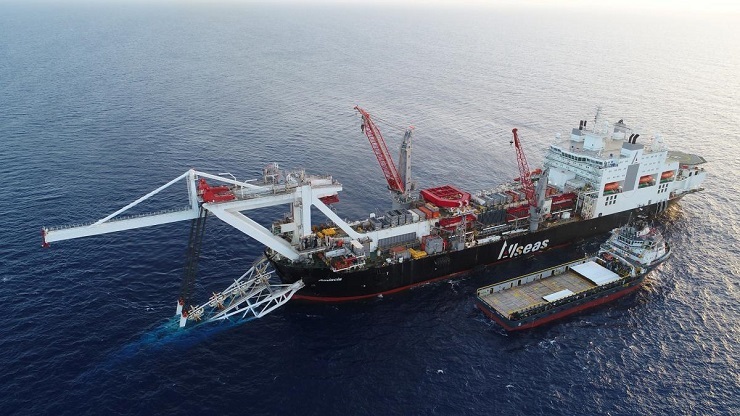 The response to Nordstream 2 pipeline and the recent crackdown on Huawei technologies confirms that the US government has no interest in free competition among international corporations. Nordstream 2 is a natural gas pipeline that is currently under construction, scheduled to be completed later this year. It will enable Russia’s state-run energy corporations to sell natural gas to countries inside the European Union. The people in various EU countries favor the construction of Nordstream 2, because it will expand and ad greater convenience to their access of Russian natural gas. However, in the United States, the Trump administration is joined by Democratic Party “resistance” leaders in demanding that the people of Germany and other European nations not purchase gas from Russia. They foolishly demand that the European community purchase gas from the United States, and import it across the Atlantic Ocean. It is simple common sense to know that importing natural gas from across the planet will be far more expensive for central Europe than simply pumping it over the border from Russia. However, in a shrill atmosphere of hysteria, invoking all kinds of unrelated issues and allegations against the Russian government, the US political establishment is talking of sanctions and other means of coercing the European public into buying their gas. While US leaders invoke human rights-based criticism of the Russian government, the hypocrisy is obvious. The Kingdom of Saudi Arabia, a brutal autocracy that beheads and tortures, remains a top business partner of the United States in both the energy and weapons markets. The brutal murder of journalist Jamal Khashoggi has not changed this relationship, which Trump openly defended on a purely financial basis. The goal of making money for American energy corporations and weakening Russian energy corporations, their competitors, is not even carefully concealed. The White House openly speaks of “Energy Dominance” as the basis for its policy, and speaks of how protecting the profits US-based oil and gas firms is its blatant intention. Are the Germans, Belgians, and other European people’s not free to “vote with their dollars” and chose where to purchase their oil and gas? Apparently, the “open international system” is not so open when geopolitical rivals of Wall Street monopolists are involved. The same rhetoric and methods are being used to try and strong arm countries around the world, and demand that they do not purchase Huawei telecommunications technology from China. Huawei is the largest telecommunications manufacturer in the world. It is an integral part of the market-socialist model developed by Deng Xiaoping and now adjusted and advanced by Xi Jinping. Huawei phones have longer battery life, better cameras, and more durable, longer lasting hardware than American made phones. All across the world, in places like India, Latin America, and various African countries, the public has selected to buy these cheaper and higher quality phones. The profits of Apple have recently dropped as Huawei’s products have become the choice of more and more consumers around the globe and within China. However, US leaders once are demanding that people around the world do not “vote with their dollars” and pick the superior phone. If the free market logic were to apply, US leaders would simply urge American manufacturers to be more competitive. Instead, US leaders continue to demand that countries like Poland and Bulgaria stop doing business with Huawei technologies. Within the United States, Americans have been prevented from “voting with their dollars” and purchasing the P20, a cutting edge new phone released by the Chinese manufacturer. A whole list of Chinese smartphones are now banned as a supposed national security risk. US leaders allege that smartphones manufactured by Chinese corporations are a threat to national security because these entities have ties to the Chinese military and government. This claim is rather hypocritical as Apple, AT&T, Verizon, and other American telecommunications companies have not even bothered to conceal their relationship with the US intelligence agencies. US phones are no more a “military” or “intelligence” threat than Chinese phones are. To expect the Chinese Communist Party, which essentially created Huawei Technologies, to not maintain a relationship with this telecom giant is a ridicules demand. More than the “free competition” and “open international system” they advocate, American leaders, seem to be embracing the economic philosophy of Mafia gangsters. Much like criminals operating a protection racquet, US leaders claim that certain countries around the world are their “turf.” They demand that their competitors be locked out, and scramble to impose “consequences” on those who would get in their way. US leaders are themselves discrediting the very ideology they have spread across the world. They are revealing that in truth, “free competition” is a delusion and that governments tend to rig things in favor of their wealthy paymasters and do their bidding. The mantra of “free competition” has been utilized to restrain developing countries and potential competitors, but US leaders are happy to disregard it and protect the global “turf” of the Wall Street and Silicon Valley monopolies. The truth is that the richest of the rich in the United States did not acquire their wealth by mere personal sacrifice and brilliance, and the western world did not acquire its place in the world through gentlemanly business practices. In the 21st Century, countries across the world have rejected these free market delusions and utilized their own governments to construct state-controlled economies to eliminate poverty and raise living standards. Huawei, like Russia’s Gazprom and Rosneft, are the result of economic innovations, in which post-Cold War governments took action to control the economy on behalf of the population. Unlike so many of the working class people in western countries, the populations of Russia and China have not been left behind in the process of building up these super-corporations. As the two Eurasian superpowers emerged in the 20th century, not due to free markets, but due to socialist central planning, millions were lifted from poverty.